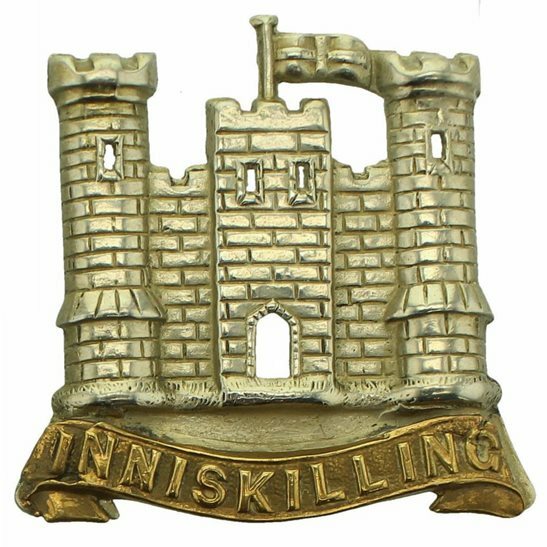 The 6th (Inniskilling) Dragoons was a cavalry regiment in the British Army, first raised in 1689 as Sir Albert Cunningham's Regiment of Dragoons. One of the regiment's most notable battles was the Battle of the Boyne in July 1690. It became the 6th (Inniskilling) Regiment of Dragoons in 1751. The regiment also fought with distinction in the Charge of the Union Brigade at the Battle of Waterloo and again as part of the successful Charge of the Heavy Brigade against superior numbers at the Battle of Balaclava during the Crimean War. The First World War sounded the death knell for mounted cavalry as it became apparent that technology had moved forward with greater destructive power and made horsed cavalry redundant on the modern battlefield. The British Army reorganized and reduced its cavalry corps by disbanding or amalgamating many of its famous cavalry regiments. The Inniskillings was one of those affected. It saw service for two centuries, including the First World War, before being amalgamated with 5th (Princess Charlotte of Wales's) Dragoon Guards to form 5th/6th Dragoons in 1922.